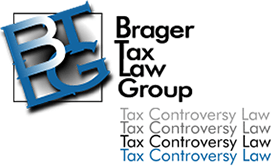 Dennis Brager was asked to provide expert commentary on the Good Morning America television show, regarding Richard Hatch's tax problems. Mr. Hatch became a millionaire when he won the first Survivor TV series. In January of 2005 he agreed to plead guilty to two counts of income tax evasion for failing to report both the $1 million he won on the show, and the $321,000 paid to him by a Boston radio station.